The Atdec Spacedec Acrobat Swing wall mount for Flat Panel Display is ideal for any office environment. It helps to conserve valuable desk space by mounting monitors of up to 19.8lbs (9kg) on a wall or platform in front of the user. This leaves a monitor footprint of zero and creates an extremely productive workspace, free from wire clutter. The arm stretches a full 13.75” (350mm) and can be easily adjusted to suit any viewing angle, tilt, orientation or height. 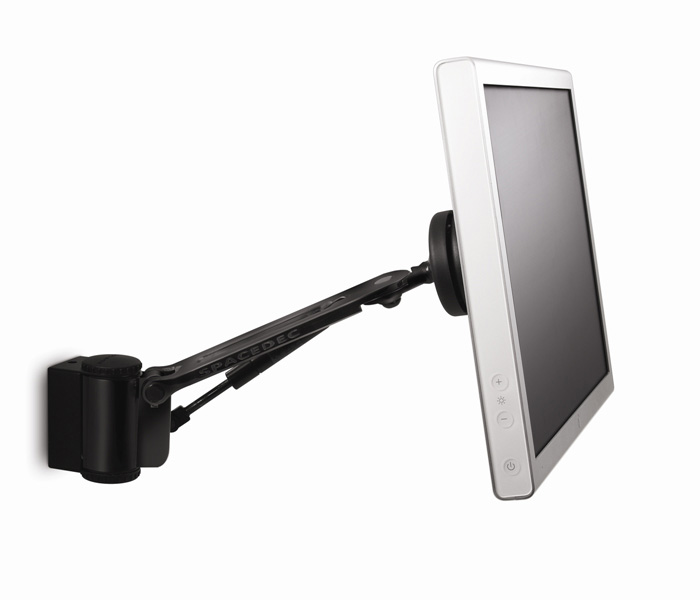 Multiple adjustment mechanisms allow the screen to be glided into the optimum working position.